The speculations are really high about the Pro 6 from Meizu with the new Smartphone all set to launch tomorrow (13th April 2016). The highlight of the device is clearly the 10 LEDs which is the talking point of the device these days. The latest smartphone Pro 6 from the Chinese Consumer Electronics company will include 10 LEDs if rumors are to be believed. This means that there will reportedly be as many as 10 LED flash bulbs within that ring and this would definitely be an achievement and moving ahead over the dual LED flashes that have been seeing all these years. But with 10 LEDs, the Pro 6 seems to be a large device, that’s for sure Then again, a little (well, potentially a lot) extra light could very well take our club photography up a notch, so we’re starting to warm up to the idea. As per leaked images, the smartphone consists of metallic body with plastic inserts for the antenna gaps that are of a similar darker shade. Interestingly the inserts are placed dipping towards the bottom and top (like they are avoiding a component on the inside). Moreover, we have the volume and power/unlock button on the left while the bottom area consists of the mic, USB port and a 3.5mm headphone jack. 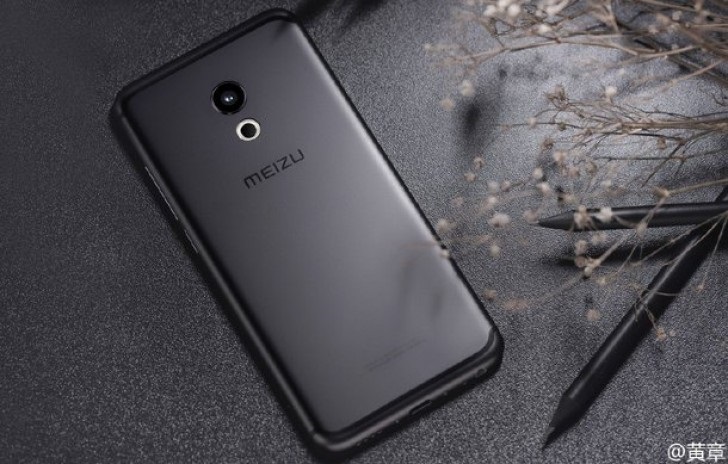 For now, two varieties of the Meizu Pro 6 are expected which is one with 4GB of RAM and 64GB internal storage, and a pricier version sporting 6GB of RAM and 128GB of storage. The Meizu PRO is expected to sport a 5.7-inch display that is powered by 2.5GHz Helio X25 deca-core chipset.